I think I am finally going to break down and start riding with a helmet. What brand and style do you prefer? The only kind I’ve heard of is Troxel until Jackie Jatzlau mentioned she rides in a One K helmet. Location: Missouri If there is a tack store near you that carries several brands, I'd go try them on. What works for you will depend on the shape of your head. I tried a tipperary sportgage first, hated it, didn't fit my properly at all. I wear a troxel now and love it. Location: Wisconsin There are so so so many more options that just Troxel and Tipperary, they just happen to be the most popular entry level helmets. Like someone else said, find a tack shop that carries a few different brands, Ive found a tack show geared towards english riding seems to have the most on hand options. 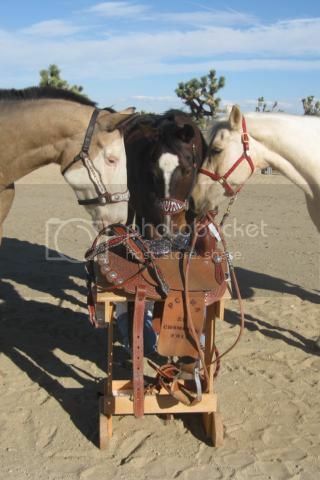 I have woren a basic Troxel, one of Fallon Taylors performance Troxels and a Tipperary. The Tipperary fits like a glove to me, I dont even notice I am wearing it vs wearing a ball cap, the Troxels, eh, not super comfortable. Its all about the shape of your head and the mold of the helmet the companies use. Location: Feeding mosquitos, FL Word. What they've said. The Tipperary's fit me really well and they come in an XL! I have a big oval head and the Troxels and Ovations don't even come in a size big enough. I tried to wedge my head in one of the super cute metallic Ovation schoolers and that did not go well. Ah vanity. If there isn't a tack store near you, try Riding Warehouse. They have a pretty wide variety and offer free return shipping if it doesn't fit. And they're super helpful if you call and ask lots of questions. Location: Oklahoma To me troxels are not comfortable. Coming from a hunter/jumper background I much prefer the "show" helmets. One K, GPA, Charles Owen. It's important to have someone fit you and have it sitting correctly on your head. Location: Montana Personally I love my Troxel Fallon Taylor helmet, it fits me well and is comfortable. However, I don't like the other Troxel helmets, there is a difference! I haven't tried other brands however. Location: Dearing, GA I ride in an Ovation. I wish it had a sleeker profile but its very comfortable! Personally I love my Troxel Fallon Taylor helmet, it fits me well and is comfortable. However, I don't like the other Troxel helmets, there is a difference! I haven't tried other brands however. I tried on the FT Troxel and thought it was super comfortable. I ran in my nieces at one race because my hat string broke and hers is a regular troxel and it put a very weird pressure on the back of my neck. So I need to try some different ones on if I plan to make the switch but I agree. FT are different than regular troxel. I have three of the Fallon Taylor Troxel helmets, and the tightening device in the back is what I love about them. You can snug the helmet up right before your run, and the helmet stays in place and is not a distraction. I'd love to try some other brands just to compare. Do any other brands come in actual measurement sizes like western hats? I tried on Troxels, Ovations, and IRH's. We went the Ovation. Lighter, lower profile, and has fit adjustment. Location: Northwest I have to agree that the Fallon Taylor's fit better than the other Troxels. I use to have a regular Troxel but tried my friend's FT on and I liked it a lot. I currently use a Uvex Perfexxion. I really like it. It is lightweight, good design, super adjustable. I have an xl head as well. Tipperary was the only who made xl for a while so i have one of those. But FT finally came out in xl and i have one of those as well The tipperary is more bulky and tends to be my everyday helmet where the FT is lighter so i usually run in it. Welcome to the helmet club! I’m also a recent member I went to a tack store and tried some on to decide! I really thought the Fallon taylor Troxel helmet was sooo comfy but I’m more of a plain Jane and didn’t like any of the designs. I went with an Ovation and love it! It’s lightweight and didn’t look as bulky on my head as the Troxel did. But everyone has different shaped skulls so in my opinion it’s just best to find a place or ask a friend to try them on! TrackinBubba - 2018-11-06 1:37 PM Word. What they've said. Whaaaattt??? Off to go helmet shopping! I love some of the patterns and colors of the FT ones but they were always too small. Location: Do I hear Banjos? If you live in a tack store desert as we do...one option is Riding Warehouse online. They have a fantastic return policy. Location: Cleburne, Texas Yes, One K! Location: So. Cali. I purchased a Tipperary Sportage Helmet a little while back and find it very comfortable! Prior to I always ran in one that had an adjustable dial in the back so you could tighten and loosen as prefered, I think it was a Troxel. I do miss that feature, but the Tipperary is still far more comfortable. Never tried an FT Troxel however. luckyjo - 2018-11-07 10:28 AM I have three of the Fallon Taylor Troxel helmets, and the tightening device in the back is what I love about them. You can snug the helmet up right before your run, and the helmet stays in place and is not a distraction. I'd love to try some other brands just to compare. Do any other brands come in actual measurement sizes like western hats? ^^^This! The way they tighten on the back is AWESOME, and it fits if I fix my hair different ways (I have thick hair). Location: North Dakota For me, Troxel is very uncomfortable. Love my Tipperary Sportage! And great price point too. I recently was looking at a few One K helmets (for when I show hunter) but whew, they are a lot more spending than my Tipperarys. I bought a troxel and couldn't use it. It was narrow on the sides and pushed right into my temples. I have a big, round head, and the Ovation helmets fit me great. I have two of them. They're light, comfortable, and adjustable in the back. I just joined the club this past weekend. LOL! I went to the tack store and tried on a lot of different ones. I didn't love the FT ones. I felt like it was just sitting on top of my head. I went with the Troxel Intrepid brand. I like it because I felt like it came down over my whole head more. I wore it all day last Saturday and never took it off. Was super comfortable and forgot it was there, except that it was keeping my head warm. Location: Silex Missouri If you are ever at an event I am at I have a portable helmet company. I set up booths at shows. I have all of the major brands and will help you find the look you want and the correct fit. I will gladly answer any of your questions on helmets. My facebook page is Happy Head Helmets. I have a GPA helmet. It is so comfortable. I told my self that when I started wearing a helmet I was going to buy a nice one. For 2 reasons. 2. I am less likely to throw an expensive piece of equipment in a box and forget about it.